Squirting lemon juice before cutting onions is a good way to reduce tears. This guide is about using lemon juice to reduce onion tears. 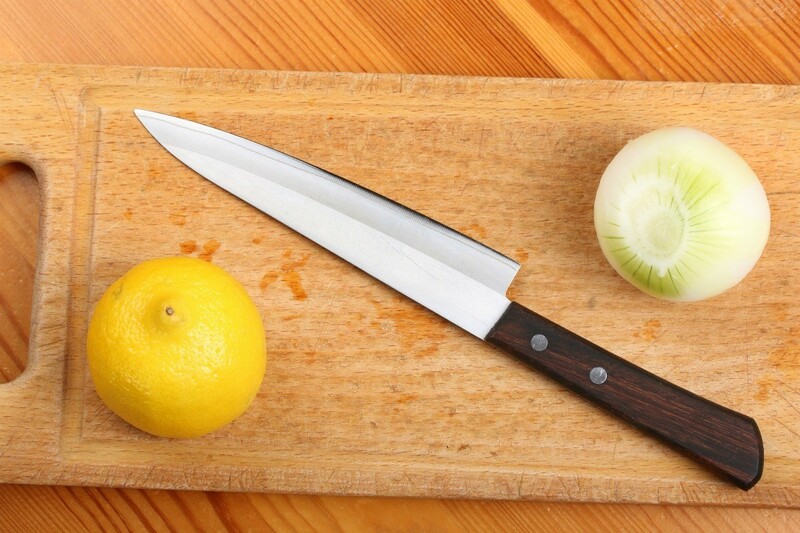 Tip: Use Lemon Juice To Reduce Onion "Tears"
If you squirt lemon juice on the cutting board before you slice an onion and dip the freshly cut part in the juice, your eyes will not burn or water. Archive: Use Lemon Juice To Reduce Onion "Tears"
I have found that putting lemon juice on my cutting board before cutting an onion keeps me from tearing up while cutting. Just pour some on the board take your onion, cut in half and make sure to put your newly exposed ends into the lemon juice. Then just cut like you usually would! Use Lemon Juice To Reduce Onion "Tears"
I was watching TV and viewing a cooking channel. He said if you cut the bottom of the onion off first, it releases the gases and 'no more tears", believe me it works!